Hairoics is a locally owned and operated business unlike many others. Hairoics believes in giving back to the community. Since they are supported by the business of the community, Hairoics is proud to help support many worthy causes in the community. The Outer Banks Relief Foundation which provides help to local citizens who find themselves in financial trouble because of illness, injury, personal tragedy, or family crisis. The Dare County Arts Council, the leader in bringing all manner of arts and cultural activities to the Outer Banks. These are just a few of the local organizations proudly supported by Hairoics. Co-Chair for Couture by the Shore Fashion Show to benefit the Outer Banks Relief Foundation. Get Pumped for Pink 10K race to raise funds for breast cancer awareness. Go Pink for the Cure wherein they gave donors of a $15 contribution towards breast cancer research a pink hair extension. 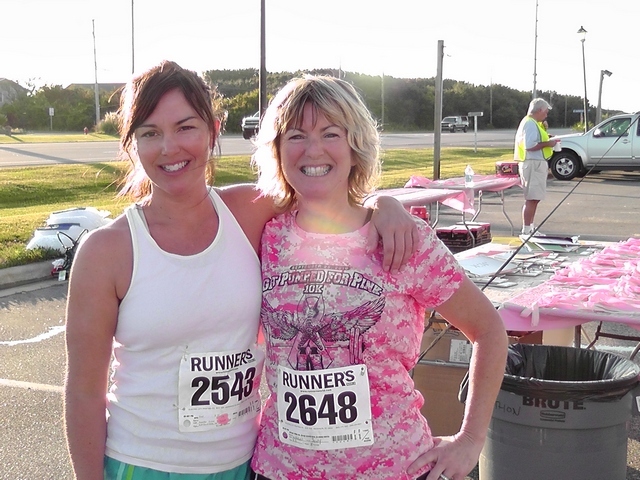 OBX Hospital Cancer Resource Center’s Look Good…Feel Better Program. And of course, local area schools can always count on Hairoics for their support throughout the school year. In addition to local programs, Hairoics also supports national charities such as Relay for Life, the Cystic Fibrosis Foundation and the American Cancer Society. Hairoics is a company that cares about the community it serves.